Sisters with a System received a free copy of Foundational Phonics, Book One for the purpose of this giveaway. This is not a paid endorsement. Sisters with a System is not being compensated in any way for this review. This is the last day to enter the TruthQuest giveaway! Do you ever find a product that you LOVE and just have to share it with others? That's how we feel about Foundational Phonics from Little Seedling Press! When our good friend Ariel told us about a phonics-based reading curriculum she was writing for her children and sister's children, we were immediately interested. After seeing the curriculum in its completed form several years later, we were impressed! Foundational Phonics is born out of Ariel's own struggles to teach her niece, who struggles with dyslexia and a speech impediment, how to read. Frustrated with the limitations of current products on the market, she set out to research the best methods of reading instruction and write her own manual. The result is amazing! When we finally arrived at the finish line, [my niece] sat down on the couch and read through an entire chapter book that same day. She had mastered the art of reading! Since that time, I have journeyed through the set two more times with another niece and nephew, refined and republished a second edition, and have made this two book set available to other home educators. There is no prep work for mom--everything has been laid out for you! Free set of flashcards included in each book! Ariel is also offering two other awesome deals for a limited time only to the Sisters with a System readers. 5% off anything in her store (equals to FREE shipping!). Use code SistersTake5. PDF download of FREE letter mastery flashcards. Use code SISTERSWOW at checkout. 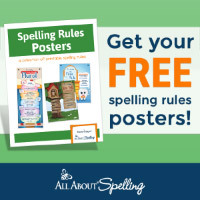 To redeem these offers, just visit www.littleseedlingspress.com where you can also find out more about Foundational Phonics and download free sample pages. Coupon codes expire on August 20. To redeem both coupon codes, you will have to complete two separate transactions, as the site only allows for one code to be used at a time. To get the latest from the Sisters, be sure to follow us on Facebook and Pinterest! I entered your phonics contest! I entered the giveaway by subscribing, liking on Facebook, and following on Pinterest. Please enter me into the phonics giveaway. Thanks. I liked your FB page, shared a post and subscribed to your newsletter!